National Women in Engineering Day takes place on Tuesday 23rd June to raise the profile and celebrate the achievements of women across the field of engineering. Established by the Women’s Engineering Society, the day is part of an ongoing focus to encourage girls to consider engineering as a career, to increase diversity within the sector and to address the skills shortage in the workforce. To mark the day, City engineering academics and an alumna share their experiences and offer advice to aspiring engineers. If brilliant, intelligent women who have the potential to be exceptional scientists and engineers don’t come into these professions we are missing out on talent. 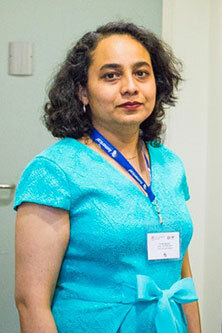 Dr Arti Agrawal specialises in the field of photonics and holds a PhD in Physics from the Indian Institute of Technology, Delhi. She joined City in 2011 as a lecturer in the Electrical Engineering department, where she leads modules on Signal Processing, Engineering Science, Physics and Integrated Optics. As a child I was always interested in science and knew it was what I wanted to study. After I completed my Masters in Physics at the Indian Institute of Technology, Delhi I became interested in electrical engineering and optics. I had the chance to design photonics devices, like Solar Cells, Photonic Crystals and Optical Fibres which I thought was really exciting. Do you feel there were any barriers to getting into engineering? In India where I began my studies it was always straightforward to study science. There were fewer women than men on my course but I never faced any barriers. Now, further along in my career I feel that I face much greater sexism, both within the field of engineering and as an academic. There’s a lot of misogyny, some explicit and some unconscious bias. When I walk into a room at a conference people assume I must be a student, I couldn’t possibly be an academic in engineering, people think because you’re a woman you can’t do the maths. Often it’s not on purpose, it just doesn’t occur to them that women can do it. A number of things could be done. People form opinions at a very young age and I believe schools have a responsibility to stop stereotypes and misconceptions forming. Girls need to be encouraged to study the sciences and universities should target schools early. I also think there should be greater accountability to encourage gender equality and balance. For example, if the research council withheld funds to universities that don’t meet certain targets. At the moment there is little accountability and therefore no urgency for anything to be done. Do you feel there is a lack of female role-models in engineering? When I was studying, the lack of role-models didn’t bother me, I just wanted to study science. However, the first image that comes to mind when you say ‘engineer’ is always a guy in a hard hat or lab coat. These stereotypes come from somewhere and it’s because there just aren’t enough visible female engineers. It’s up to us to make the women in engineering more visible, so that people realise we exist. We need female faces in prospectuses and for men and women to visit schools to talk to the pupils about the subject. Why should we address the gender gap in engineering? In each profession you want the best people to be a part of it. If brilliant, intelligent women who have the potential to be exceptional scientists and engineers don’t come into these professions we are missing out on talent. With diversity comes different experiences and approaches to problems. Research has suggested that teams that are gender balanced performed better, so why should be happy with an imbalance? What skills or personal characteristics do you need to be an engineer? In order to be a good engineer you need the ability to analyse things, break down complicated concepts into smaller pieces and logically analyse them. You need some mathematical ability, but you don’t need to be a maths genius. Like any subject, to be a success you need to be passionate, enthusiastic and energetic. I get to try new things and satisfy my inherent curiosity. I want to know how things work and in my job I can investigate them to find out. Do you have any advice for aspiring engineers? If you can, find a mentor regardless of whether they are a male or female. But if you can’t, don’t let that stop you, follow what you’re interested in and don’t give a damn about anyone else. Every day engineers are building things like bridges and buildings, it’s great to see a physical, tangible outcome to your work, that you don’t get with many other industries. 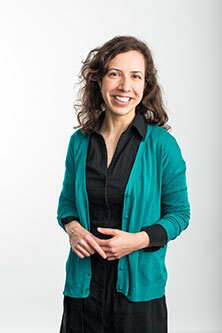 Dr Joana Fonseca graduated in Civil Engineering from the IST -Technical University of Lisbon, Portugal and holds a Masters degree and a PhD in Soil Mechanics from Imperial College London. Dr Fonseca joined City in 2013 as a Lecturer focusing on Geotechnical Engineering. I was always interested in architecture and technical drawing, but at some point before university, decided I wanted something more rational, more logical. It was the maths and science element that attracted me in the end. In my current area of research I work with 3D images which is where my initial interest came from. I began my studies in Portugal and I think there are some cultural differences. I notice the gender gap more in the UK, here I think people see the woman first, then an engineer, in Portugal I was just an engineer. What are the common misconceptions about engineering? I think people see engineering as inaccessible or ‘not for them’, and this is perhaps why so many women don’t pursue the subject. Sometimes I have the feeling that people are almost scared of it. Many of my friends in London are from engineering and have PhDs. Outside this circle, people are surprised about what I do. I think they expect an engineer to be a nerd. What’s the best thing about engineering? Studying engineering gives you the tools to think which can then be applied to many other things. Once I’d finished my degree I had this need to go and do something practical so I worked in industry for a while as a civil engineer. It’s great to have the tools to be able to improve the world we live in. Through studying science and engineering we can contribute to society. Every day engineers are building things like bridges and buildings, it’s great to see a physical, tangible outcome to your work, that you don’t get with many other industries. What skills or characteristics do you need to be an engineer? You need a logical mind, and some maths or science skills. Do you think there is a lack of female role-models in engineering? I don’t know whether we need female role-models. I have role-models that are men but they inspired me just as much as they would have done if they were females. Be less afraid and more brave. The difficult things in life make us the most fulfilled. As long as you're driven, determined to succeed and hardworking, you'll prosper in engineering. Lara Yusuff, studied for a BEng (Hons) in Aeronautical Engineering at City. 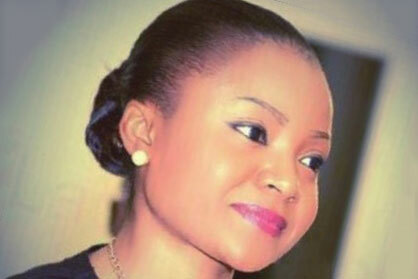 After graduating, she went on to gain a Masters in International Business Management. After completing her studies, she worked for the Nigerian Civil Aviation Authority and an aircraft interiors manufacturer as the Deputy Chief of Office of Airworthiness. Currently, she works for British Airways as a Quality Engineer. As part of her role, she conducts competency assessments and quality checks to ensure high standards are maintained at the airline. I was introduced to engineering by my grandfather who is a mechanical engineer. Also, I’ve always had an interest in planes and aviation, so aeronautical engineering was a natural choice. As a child, whenever I travelled anywhere I would always find the airport and flying experience exciting and interesting. I had a natural curiosity about how planes fly, the fact that they could seemingly defy gravity fascinated me. At school, maths was my best subject, which was a bonus as this was one of the subjects I needed to study aeronautical engineering. Do you notice the gender gap in engineering? Now that you ask, come to think of it, there are only a few women in my department and I happen to be the only female from my ethnic background but it’s not something I think about at all. I see myself as an engineer, not as a female engineer. I’m not sure whether the gender gap is as a result of insufficient role models, or lack of interest or even information about the prerequisites for studying engineering which means that many young women don’t realise that they can actually do it. Back at university, as a Student Ambassador for both alma maters, I had the opportunity to give talks to young people on the importance of higher education. As part of the Widening Participation Scheme, I worked with the Career Development team and educational institutions such as AimHigher to encourage our future leaders. What do you need to be an engineer? I think you need to be hardworking, passionate and determined to overcome the challenges one might face. It’s often thought that you have to be physically strong to be an engineer and that it's a man's job. In fact, while you might have to do some experiments, practical work and/or be hands on, generally I focus on the theoretical, scientific and managerial aspects about how things should work. People also often think you have to be a genius or a geek, which isn’t the case either! As long as you work hard, you'll do just fine. You definitely don’t have to be some kind of mathematical genius. It’s also a misconception that only boys can excel at it or that you have to be a tomboy. I get to work with planes every day, which isn’t something you’d normally come across and on a daily basis too so I’m humbled to do this and for such a prestigious company.